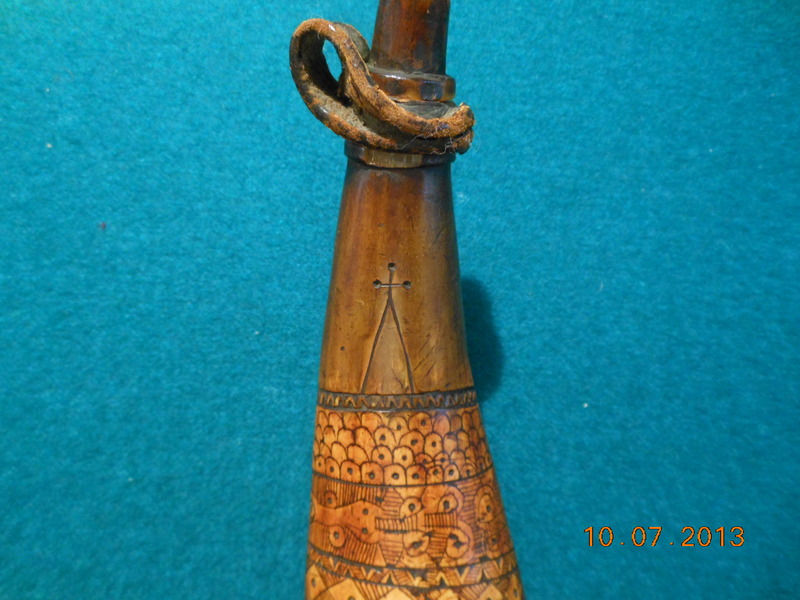 Early American Indian rifle horn. 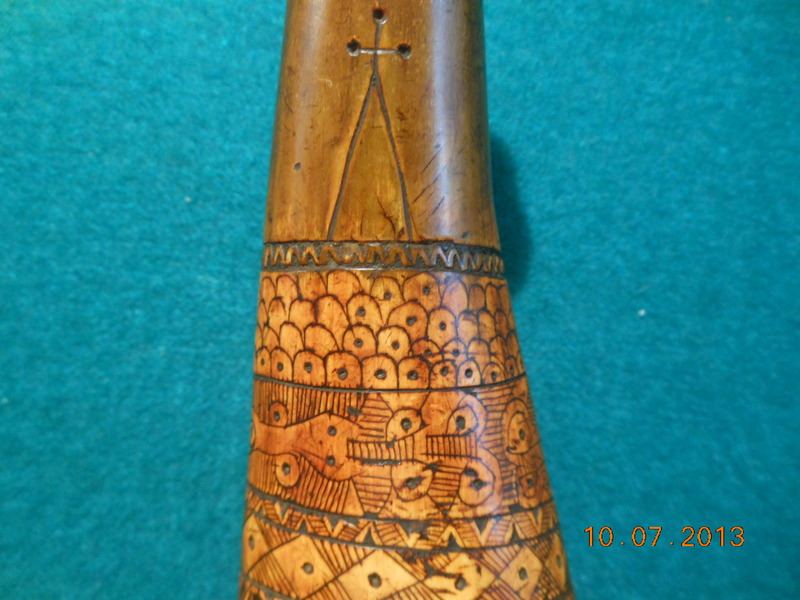 Geometric designs, deeply carved, dark brown, honey color. 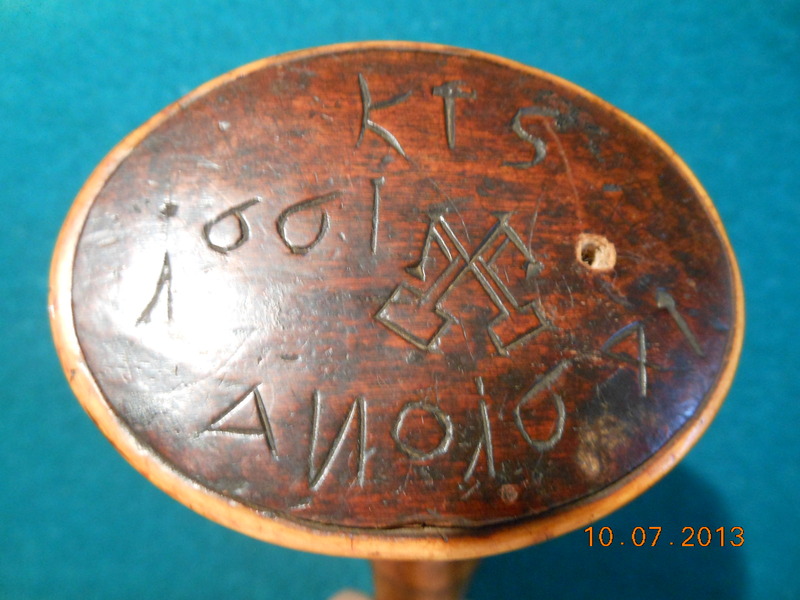 Base plug is of dark aged wood, held by wood pegs and carved deeply with “1641, ANO 1661” with initials “KTS” and what looks like crossed tomahawks. 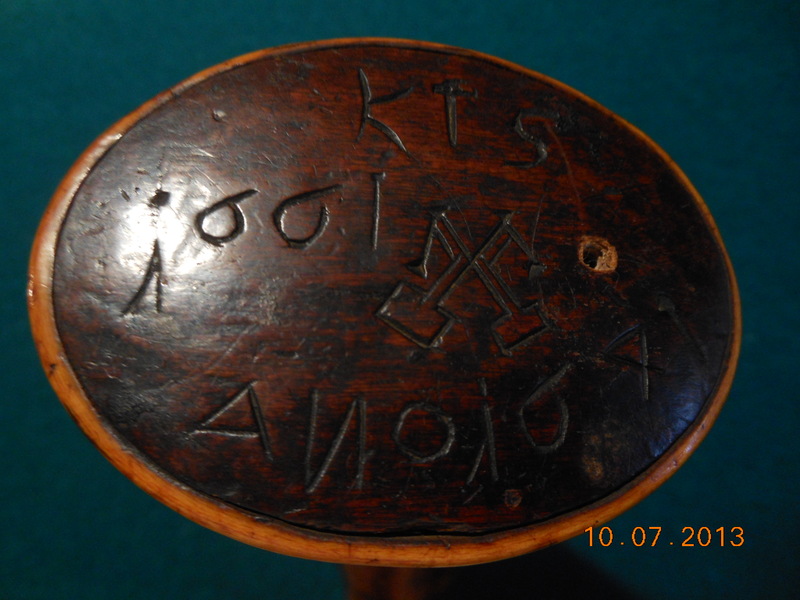 There is what seems to be a Christian symbol at the neck which looks like a teepee with a cross on top. 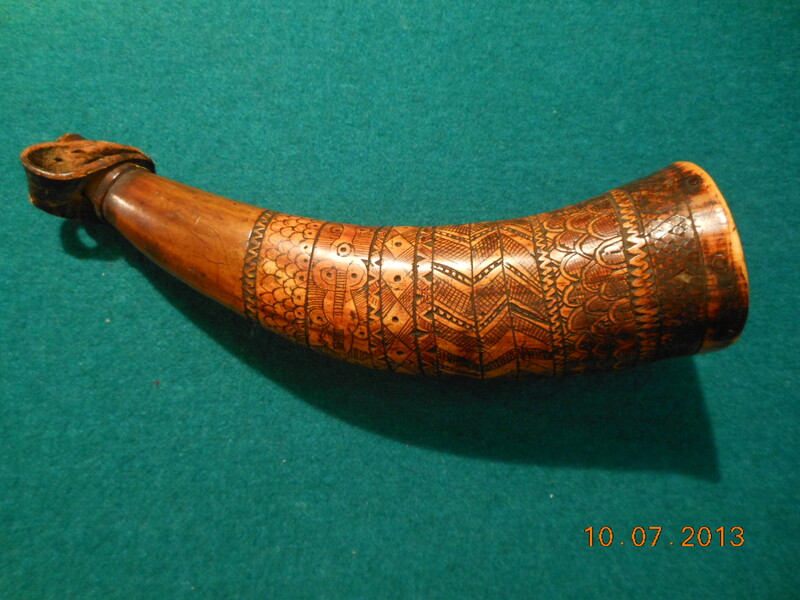 Horn is 9 ½” long and still retains a piece of leather around the neck which attached to a bag or carrying strap. 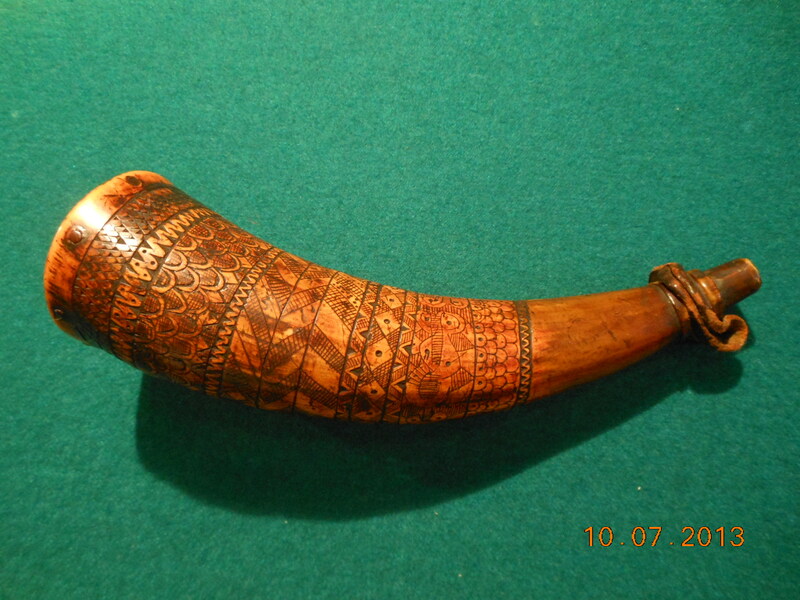 This horn was once owned by collector and author, James Dresslar.